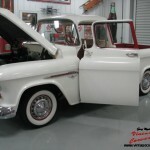 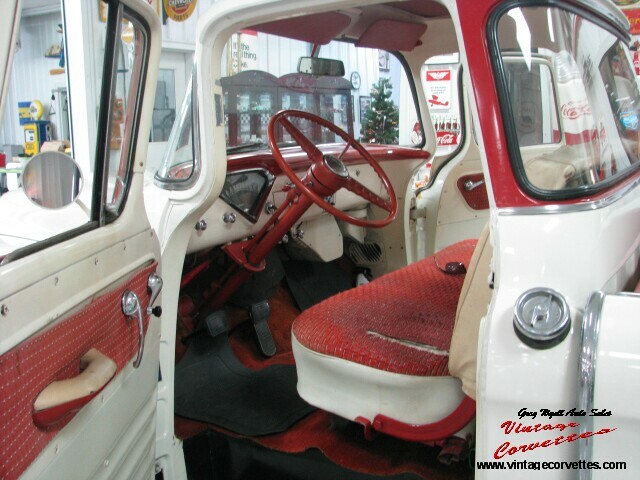 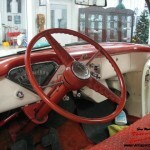 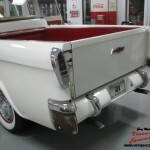 Greg Wyatt Auto Sales | 1955 CHEVROLET CAMEO – JUST IN!! 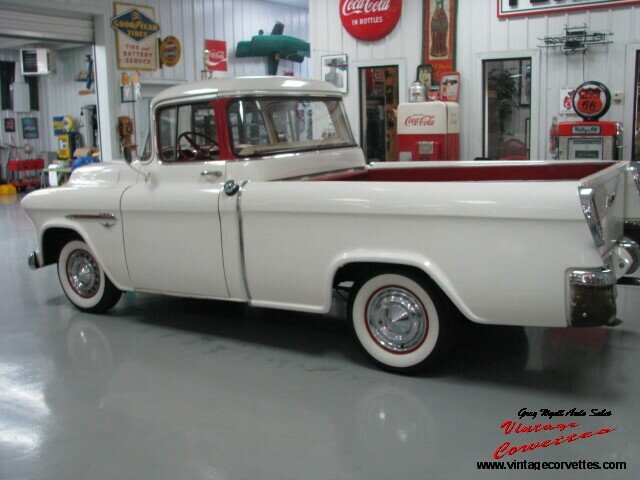 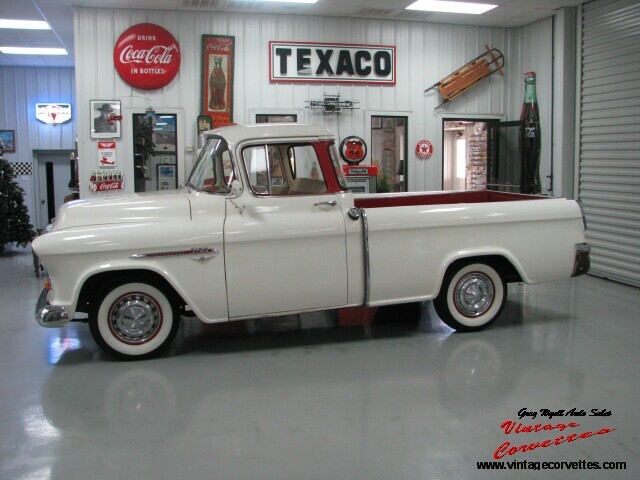 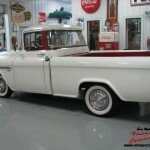 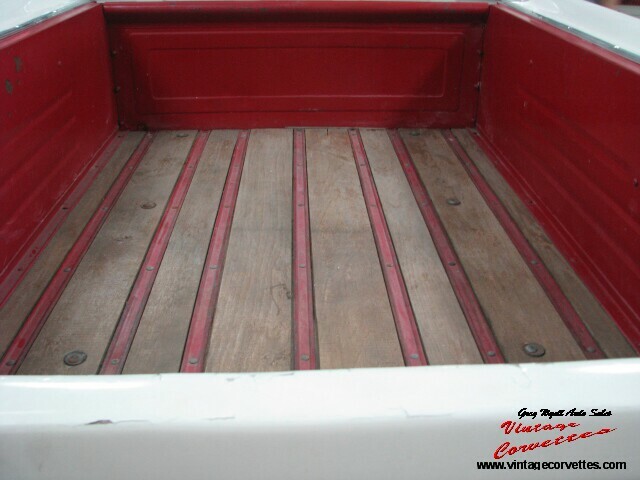 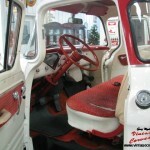 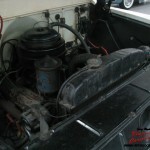 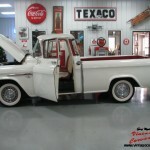 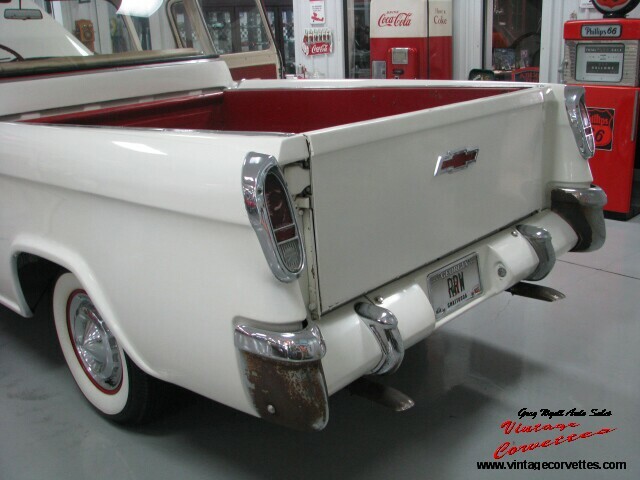 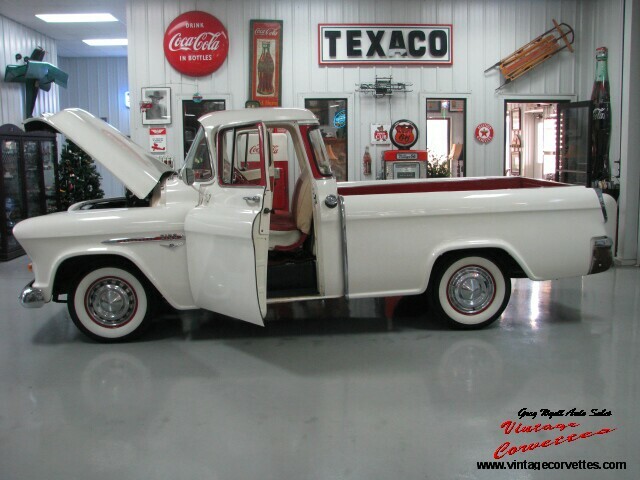 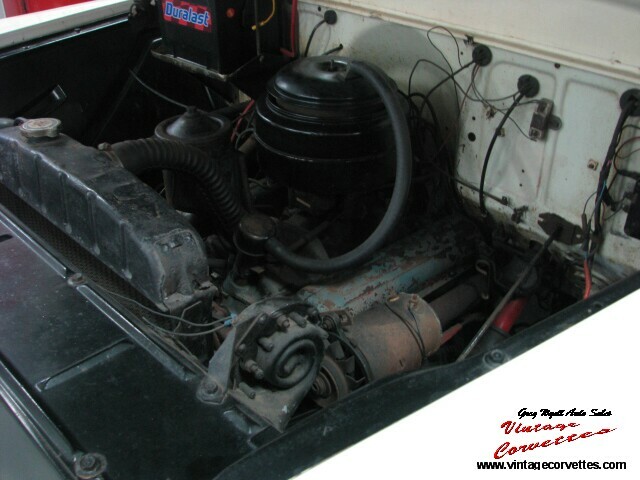 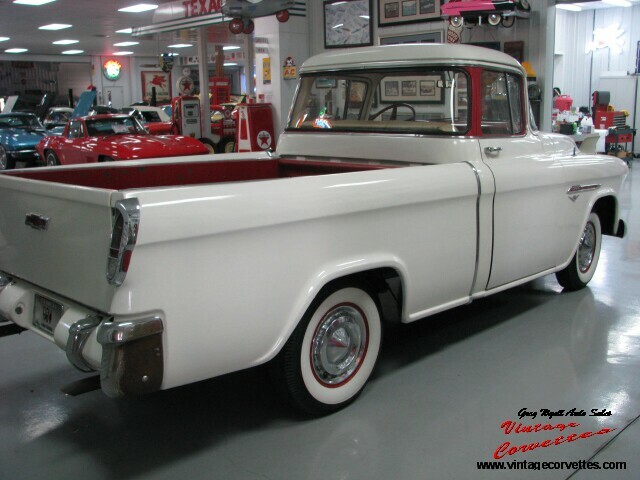 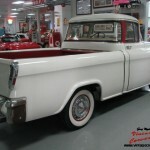 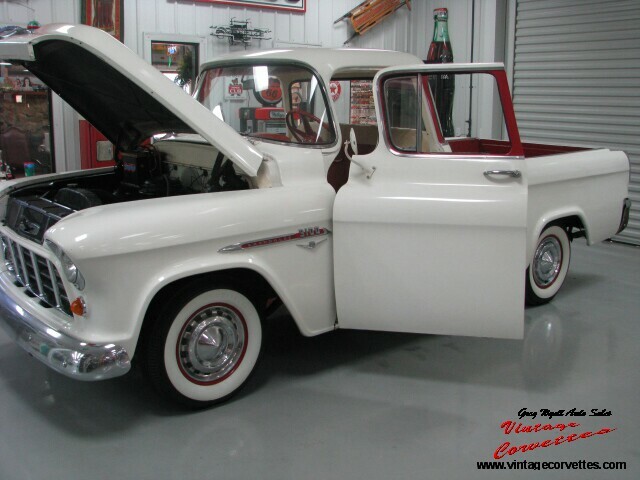 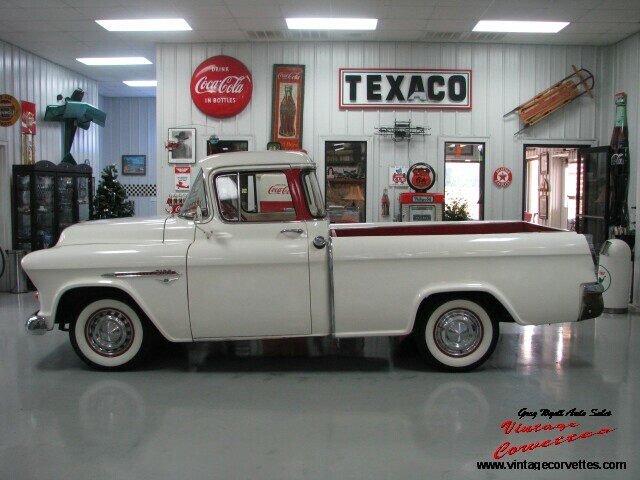 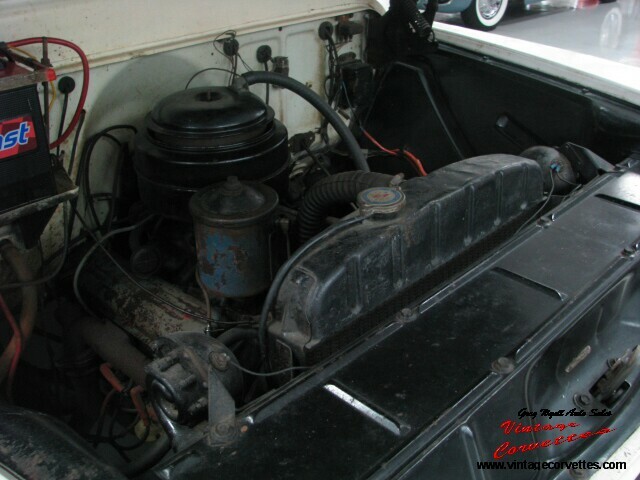 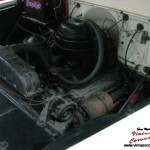 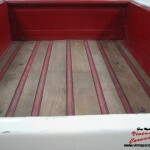 1955 CHEVROLET CAMEO – JUST IN!! 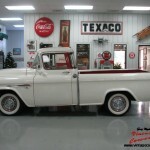 1955 CHEVROLET CAMEO, CORRECT AND ORIGINAL MATCHING NUMBERS ENGINE, DRIVETRAIN, 48,652 ORIGINAL MILES, EXCEPTIONAL SOLID FRAME AND BODY, CALIFORNIA TRUCK UNTIL AROUND 1979, OWNER THAT BROUGHT IT TO GA BOUGHT IT FROM THE ORIGINAL OWNERS DAUGHTER, V-8 265, 3 SPEED ON COLUMN, ALL ORIGINAL EXCEPT ONE OLDER REPAINT IN THE 80’S, ALL ORIGINAL GLASS, SPARE AND JACK IN PLACE, RUNS AND DRIVES GREAT. 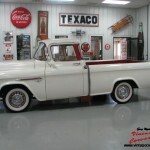 SOME PAPERWORK AND RECEIPTS FROM THE 70’S AND 80’S. 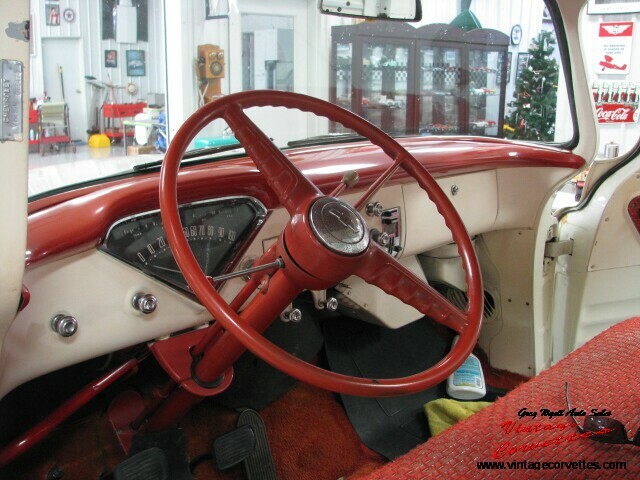 Specializing in Vintage Corvettes since 1980 WANTED 53-67 CORVETTES!